Two programs were assessed as the best of their kind in Michigan. 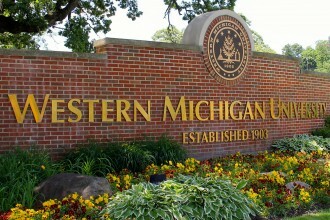 KALAMAZOO, Mich.—The latest annual U.S. News & World Report ranking of the top graduate programs in the nation shows Western Michigan University with seven programs ranked among the top 100 in their disciplines, four in the top 50 and two programs assessed as the best of their kind in Michigan. In the latest round of rankings released March 16, WMU’s occupational therapy program based in Kalamazoo was ranked at No. 32 nationally, making it the state’s highest ranking program in that discipline. The University’s speech language pathology program, at No. 46 nationally, is tied for recognition as that discipline’s best such program in Michigan. Occupational Therapy, Grand Rapids—No. 58. All seven of WMU’s top-100 programs are part of the University’s celebrated College of Health and Human Services. Another eight WMU graduate programs also were highly ranked among graduate programs at the nation’s more than 650 colleges and universities that confer master’s and doctoral degrees. The additional ranked WMU programs are in: Earth Sciences/Geosciences (113), Public Affairs (115), English (125), History (125), Education (126), Art (131), Clinical Psychology (135) and Psychology (141).